Susan Agranoff, a consistent award winning associate broker, has been a part of the real estate world for the past 23 years. She is a lifelong resident of Long Island and has resided in East Meadow for the past 35 years. As a result, Susan is an expert in Long Island Residential Real Estate. Susan has listed and sold homes in Nassau, Suffolk and Queens counties. She knows the neighborhoods, schools, market conditions, zoning regulations and the local economy. Her in-depth community and market knowledge, as well as her highly effective negotiation skills, all contribute to a stress free house sale transaction. The ”client first” philosophy has always been Susan’s approach. This means keeping herself accessible 24/7, being a good listener as well as a good communicator and responding quickly to your needs. She measures her success through the satisfaction of her clients. Susan’s objective is to provide her clients with the highest level of specialized real estate services. She utilizes the latest technologies, negotiation skills, market research and business strategies that will exceed your expectations. Susan finds solutions that are tailored to your individual needs. She fully recognizes the fact that selling or buying a home is a significant financial commitment and is there to guide you through each phase of the transaction. Susan is a Seniors Real Estate Specialist (SRES). •	As a Seniors Real Estate Specialist Designee, Susan has developed sensitivities to 50+ issues and priorities when counseling sellers and buyers, showing properties and managing transactions. •	Susan has assembled a team of experts to help serve her 50+ clients including clean-outs, handymen, etc. 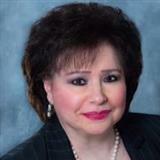 •	She helps clients integrate disposition of real property into estate plans. •	She assists in recognizing how a home can be adapted for safety, comfort and aging in place. •	She assists her clients in staging the home in preparation for its sale. •	She advises her clients of the tax implications of selling their house. Susan is a Certified Short Sale Specialist (RSSP). A short sale is a real estate sale by a party in financial distress, who owes the bank more than the property is worth in today’s real estate market. The sale is for an amount lower than that owed to the bank and the terms and conditions of the transaction must meet with the bank’s approval before the sale can take place. Susan will assist in handling the entire short sale process without any out of pocket expenses for a qualified seller.